The meiko universal cleaning pad ensures complete cleanliness with the combination of microfibre and bristles. Available in five designs. 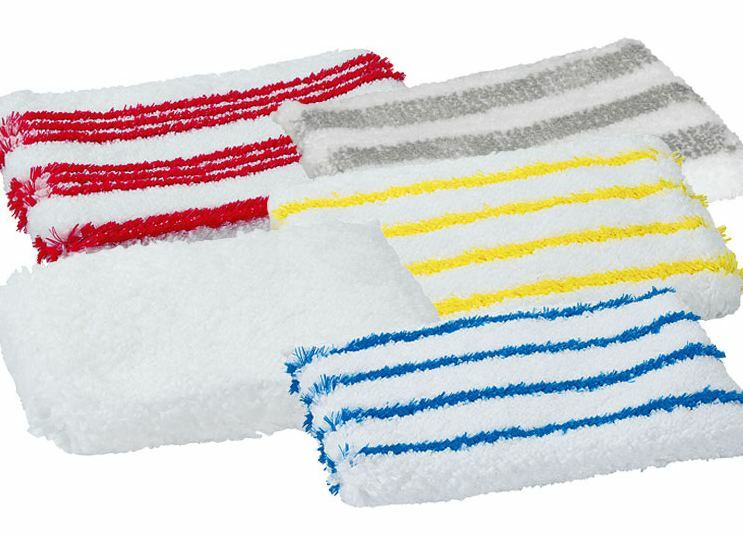 The universal cleaning pads are washable at up to 95°C and therefore reusable. Its dual action removes even stubborn dirt: Polypropylene bristles penetrate right into the recesses of tiles and grout and remove encrustations, limescale deposits and persistent dirt. Microfibres provide deep cleaning of porous surfaces. Even fats and oils are completely removed. Ideal for daily use wherever cleanliness is essential. in hotels for cleaning rooms or the wellness area. They even clean windows and mirrors without leaving streaks. Universal Cleaning Pad pure, made of pure microfibre, is suitable for all areas that require sensitive cleaning. Universal Cleaning Pad soft gently removes dirt and deposits. Universal Cleaning Pad medium is particularly good for daily cleaning in all areas. Universal Cleaning Pad strong removes stubborn dirt. Universal Cleaning Pad ultra strong also removes persistent, trapped dirt. With intelligent product solutions from meiko, the cleaning pad can be combined with the matching mop cover and hand pad.